Inspiring creativity, promoting discovery, and building community. 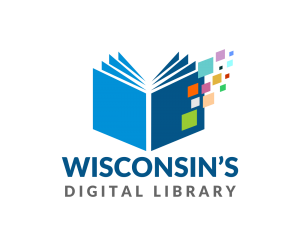 During the fall of 2017, Mukwonago Community Library launched its strategic planning process with the intention of engaging library stakeholders in a collaborative effort. Through a community survey and a series of focus groups with residents, library staff, and local community leaders, the library collected feedback on what the Mukwonago community desires from its library. After analyzing this data and input, the library Board of Trustees developed four overarching priorities to guide the direction of the library, focusing on remaining relevant to the Mukwonago community and meeting the variety of needs of its service area, while upholding the values of responsible financial stewardship and the role of the library as a provider of learning opportunities. This strategic plan, which is a direct response to the feedback the library received, was approved by the Board of Trustees in August 2018. Through conversations held during the planning process, the board and staff revised the mission statement of the library to accurately reflect its role within the Mukwonago community. As we look to our future, we hope you join us in inspiring creativity, promoting discovery, and building community. Click here for the Strategic Plan. The Library also affirms the principles upheld in the American Library Association’s Code of Ethics, Library Bill of Rights, and Freedom To Read Statement.